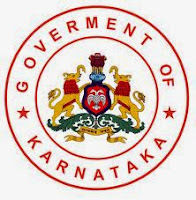 Office of the Deputy Commissioner, Mysore District has published an advertisement regarding to Karnataka Revenue Department Recruitment 2014 to appoint 130 Village Accountant. Job seekers who are interested to hold the opportunity are requested to submit an application from 10-11-2014 to 09-12-2014. The Revenue Department in Karnataka has prime responsibility to handle records of land ownership. Aspirants who are eligible and interested to apply are advised to apply as soon as possible. Other necessary details such as essential qualifications, age limit, salary details, application fees, how to apply and important dares are shaped below. Job seekers should have 12th certificate or equivalent from a recognized school or institution. Aspirants should possess their age limit 18 Years to 35 Years and other upper age limit relaxation will be applied as per govt. guidelines. Applicants will be placed on the specified designation on the basis of written exam and interview. Pay Scale: Candidates will be placed in the pay scale of Rs.11600-200-12000-250-13000-300-14200-350-15600-400-17200-450-19000-500-21000. Candidates who meet the eligibility criteria have to apply online through official website mysore-va.kar.nic.in. Applicants are requested to read Information Booklet on the village Accountant officer post. All the details must be relevant an accurate as documents will be verified during selection process. Pay the requisite fees and upload the scanned copy of challan form. After submission take printout of the Acknowledgement Slip for reference only. Applicants are not required to send the printout of the application. Candidates can check their application status by giving reference no and date of birth. Aspirants who are looking for jobs in government sector are advised to visit our web portal regularly or follow us on Facebook.